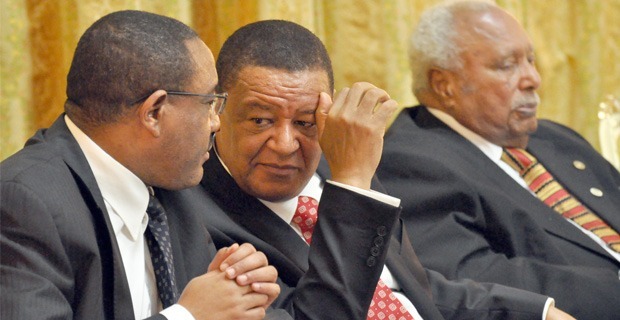 Djibouti (HAN) March 22, 2014 – The President of fedeeral Ethiopia, Dr.Mulatu Teshome said it is Ethiopia’s desire that US companies invest in Ethiopia in various areas. While conferring with a delegation of Corporate Council on Africa (CCA), the President said Ethiopia is interested on US companies to engage especially in manufacturing, power generation and infrastructure development. and infrastructure development as well as information technology. He said the peace and stability, human power and the country’s rapidly growing economy is attracting attention of many companies. CCA is a nonprofit, membership-based organization established in 1993 to promote business and investment between the United States and the nations of Africa. The former Ethiopian Ambassador to Turkey, Dr. Mulatu Teshome Wirtu (Oromo nation) was last October, 2013 sworn in as the new President of Ethiopia. Ambassador Mulatu served in various ministerial positions before he was appointed as an Ambassador under the current administration. 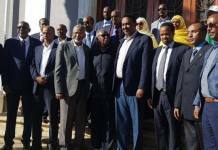 The President of Ethiopia is also the executive member of the Oromo Peoples’ Democratic Organization (OPDO).